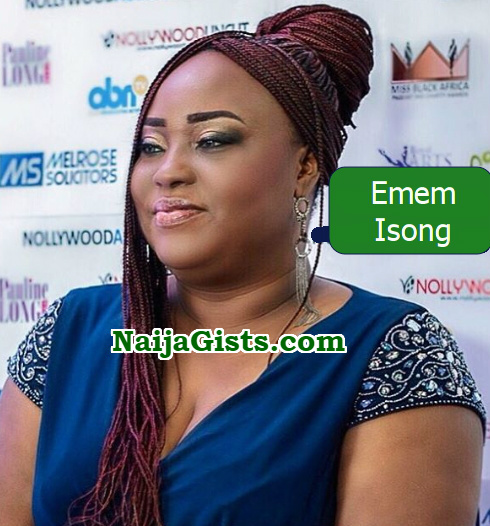 Last year May, celebrated filmmaker, Emem Isong, delivered a set of twins for her Cameroonian husband, Akama Midodi. Inside Nollywood asked Isong if she had a premonition of having a set of twin boys, but the filmmaker said that she never saw it coming. “Of course, I wasn’t expecting that I would have twins. I used to jokingly wish for twins, but I never knew it would come to pass. In fact, when the doctors informed me of them, I was so shocked. I was speechless for a while because we don’t have twins in my family, though my husband’s family has twins. Honestly, I didn’t know it would get to me. “However, I was super excited about the news; who wouldn’t want double blessing? I had no boy before the twins came, now, I have experienced the birth of a child and that of two babies at the same time,” she enthused. Take your time, motherhood is a thing of joy, so rejoice madam.